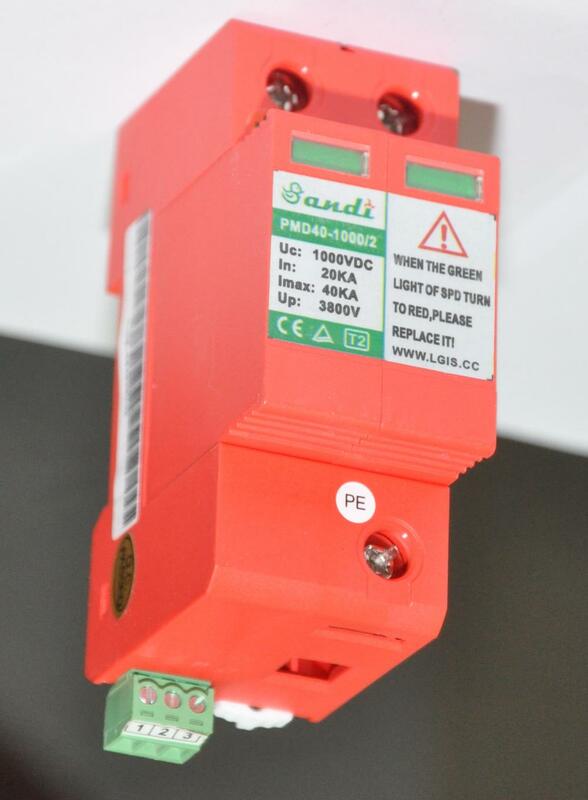 SANDI photovoltaic surge protective device(SPD) (with three -step DC switching device) features visual indication and optional remote contact signaling (floating changeover contact) for use in PV systems. These complete surge protective devices are suitable for all PV systems in accordance with IEC 60364-7-712. Includes a five year limited warranty. 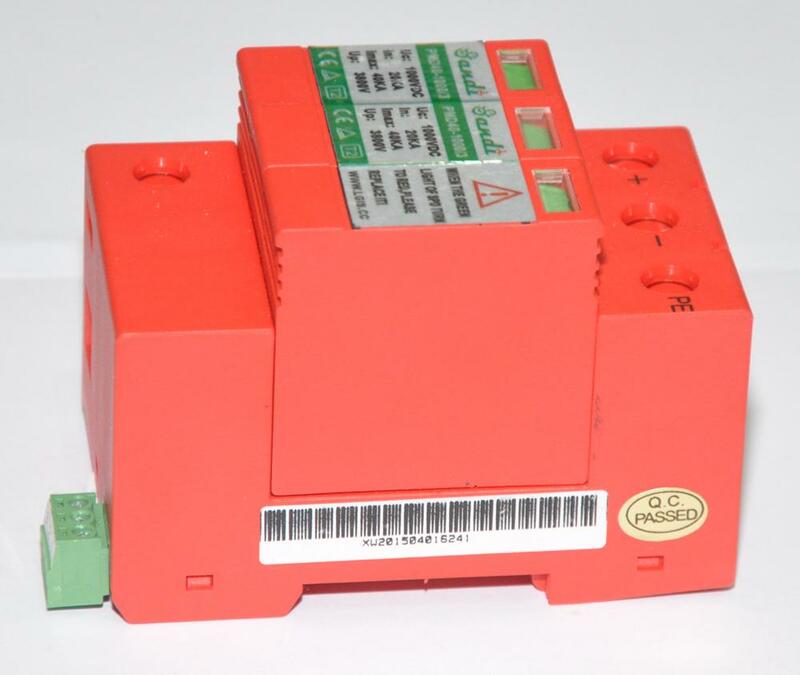 These prewired solutions consist of a base and locking modules that feature a combined and short-circuiting (shunting) device with safe electrical isolation to prevent fire damage due to DC arcs. 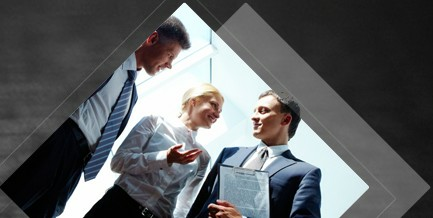 An integrated DC fuse allows safe module replacement without arc formation. In case of insulation faults in the generator circuit, a reliable and tested fault-resistant Y circuit prevents damage to the surge protective devices. The green and red visual indicator flags show the module protective status ( green =good, red =replace). Apart from this visual indication, the remote signaling option features a three terminal floating changeover contact that can be used as a make or break contact depending on the particular monitoring system design employed. 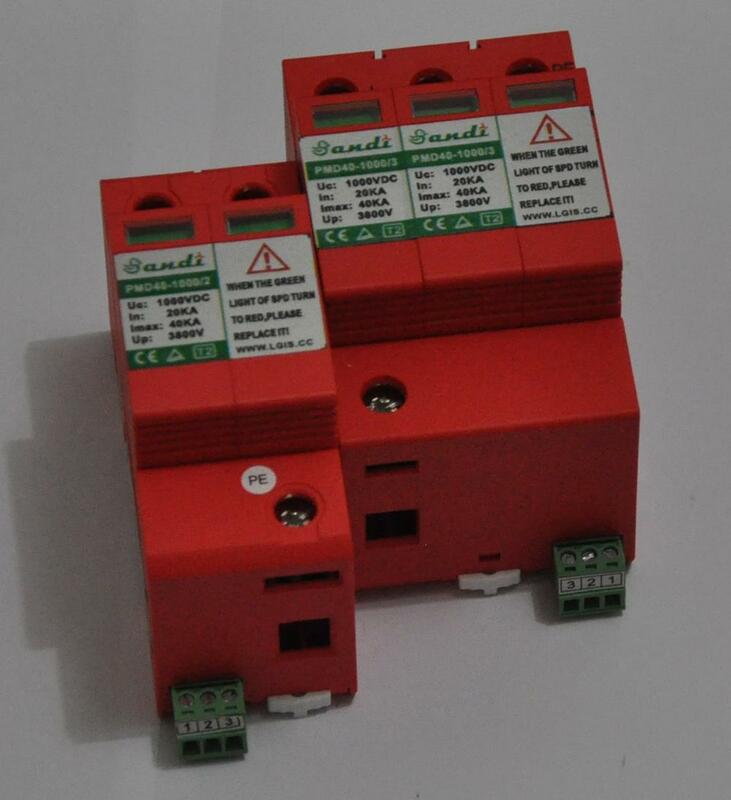 Products are mainly used in the DC power supply lighting protection and over-voltage operation protection function.